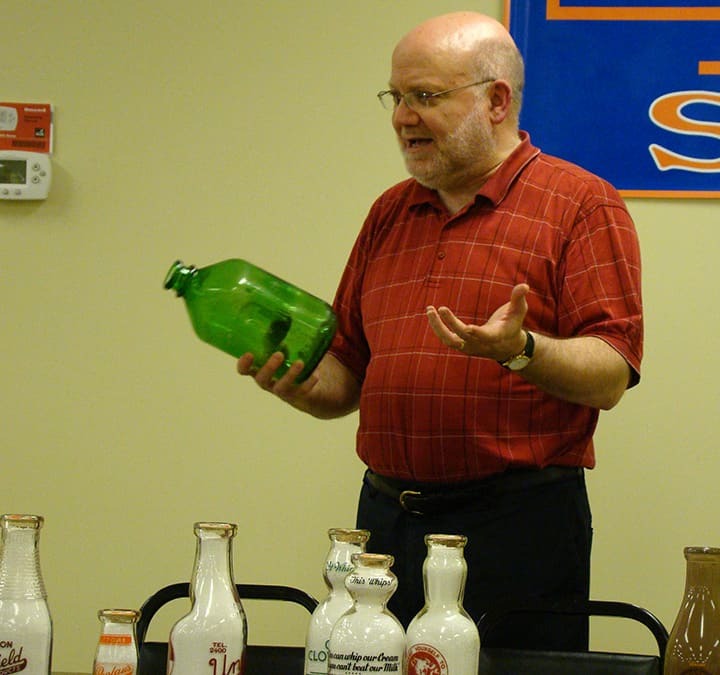 On July 11th, at the monthly meeting of the Mohawk Valley Bottle Collectors Club, they had a presentation on unusual milk bottles presented by Peter Bleiberg. 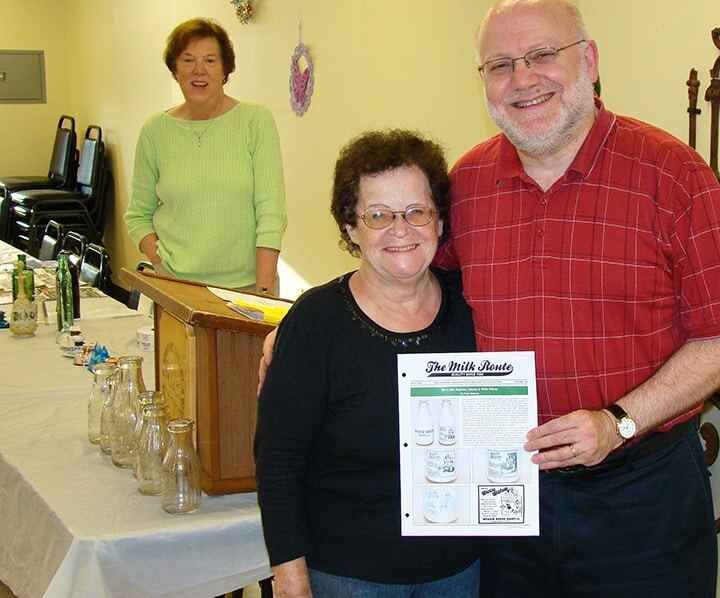 Along with that presentation they drew five names from club members present for a one-year membership to the National Association of Milk Bottle Collectors (NAMBC). This includes twelve issues of The Milk Route, a newsletter published each month. Peter is the editor of the newsletter and does a great job with it. 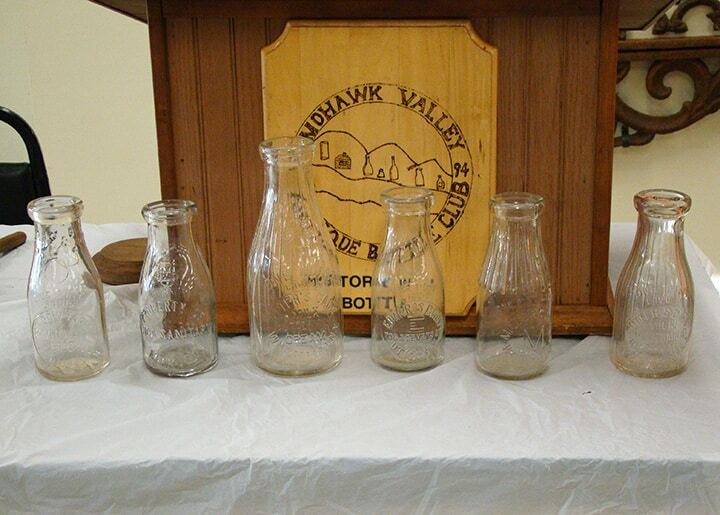 Peter did a 45-minute talk on many unusual milk bottles that he had brought from his own collection, which he started 30 years ago. 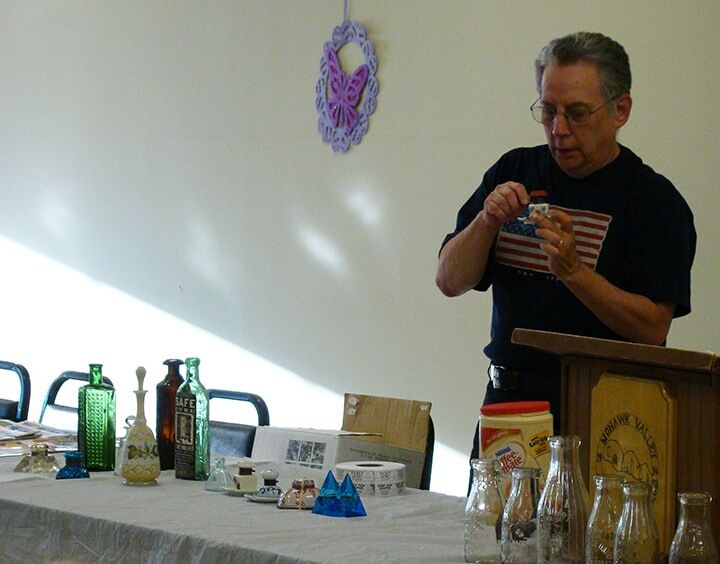 I have seen three or four of Peter’s talks on different aspects of the milk bottle hobby and they are all very interesting and his speaking is not only informative but entertaining as well. 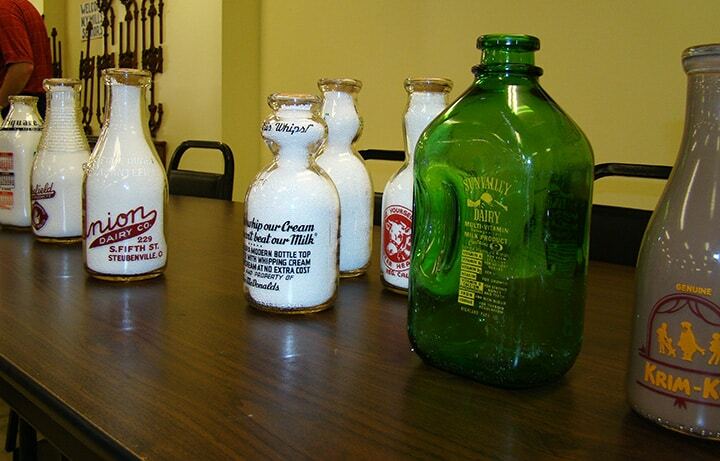 Peter opened my eyes to the history of these bottles and I am proud to say we have over 30 milk bottles in our collection now. All thanks to Peters talks. I look forward to seeing what Peter comes up with for his seminar at the FOHBC 2017 Springfield National Bottle Convention and Expo. He will be one of six speakers at the convention and I am sure you will want to see what he has in store. 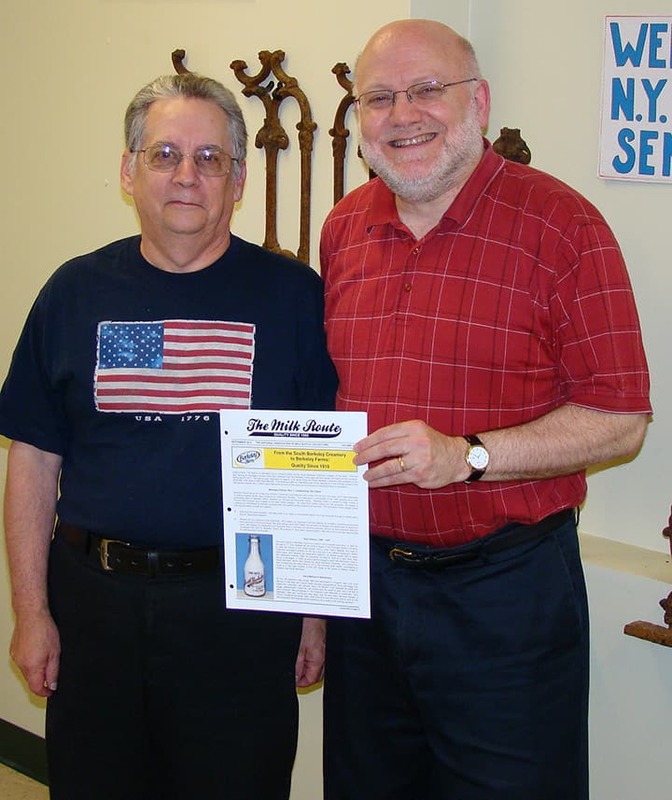 If you would like to join the National Association of Milk Bottle Collectors, the dues are just $25 a year and it includes twelve issues of the club newsletter The Milk Route. 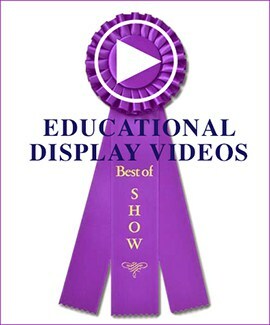 They also hold a three-day event in Hershey, Pennsylvania the first part of June every year. Check out their web site at milkbottlecollectors.com. They were established in 1980 and are a great group of guys. 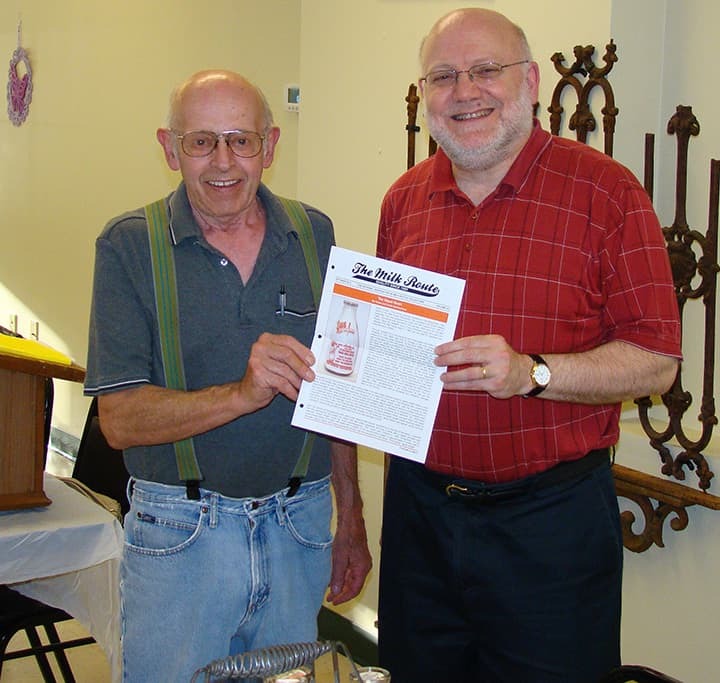 Again, thanks to the Mohawk Valley Bottle Collectors Club for supporting other clubs and keeping the hobby alive and going. Thirty plus members of the Mohawk Club attend most of the monthly meetings. Peter awards Artis Finn her first copy of the The Milk Route. 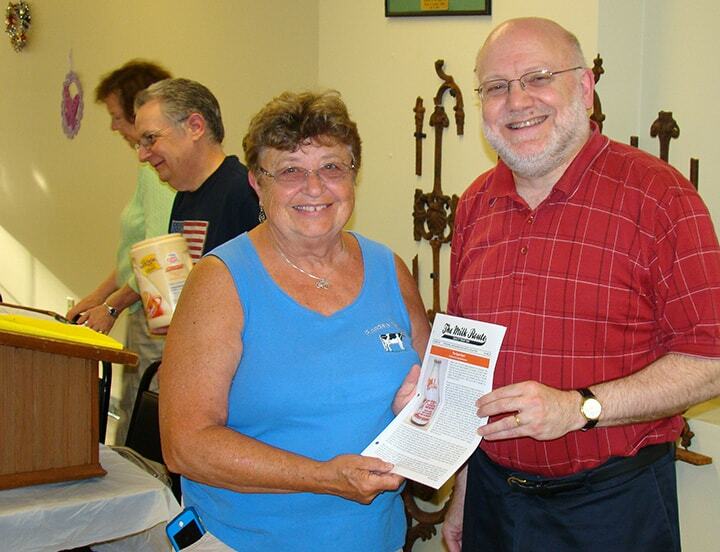 Peter awards Yvonne Wall her first copy of The Milk Route. 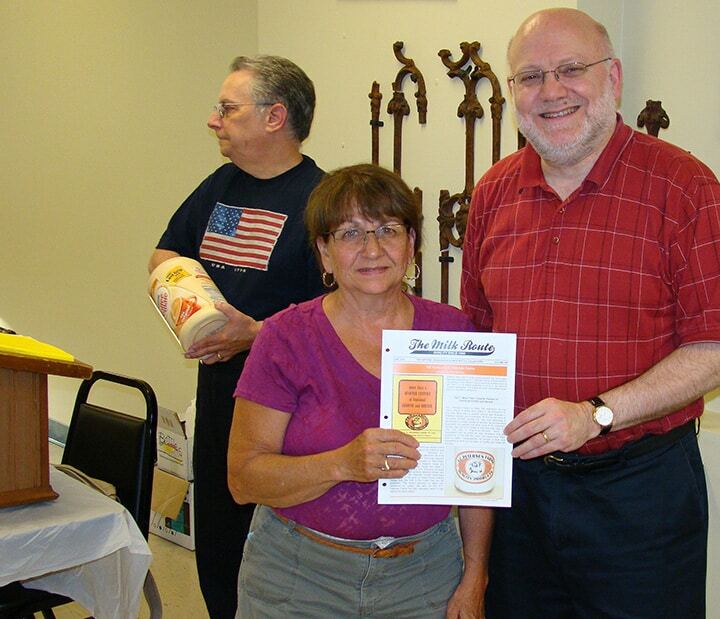 Peter awards Emilia Weeden her first copy of The Milk Route, Club President, Kathy Capozzella watches from behind. Peter awards Tom Andriach his first copy of The Milk Route. Tom can be seen in other photos drawing the numbers. Peter awards Richard Pugh his first copy of The Milk Route. 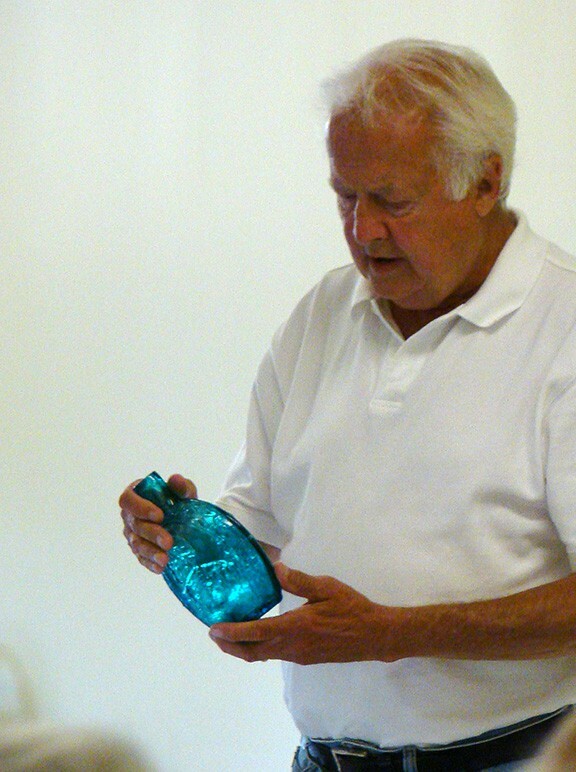 Ron Weir shares a story about a reproduction flask during the show and tell. Tom Andriach shares a few of his new inks during show and tell. Every month Tom Andriach handles the clubs raffle. What better than milk bottles this month? 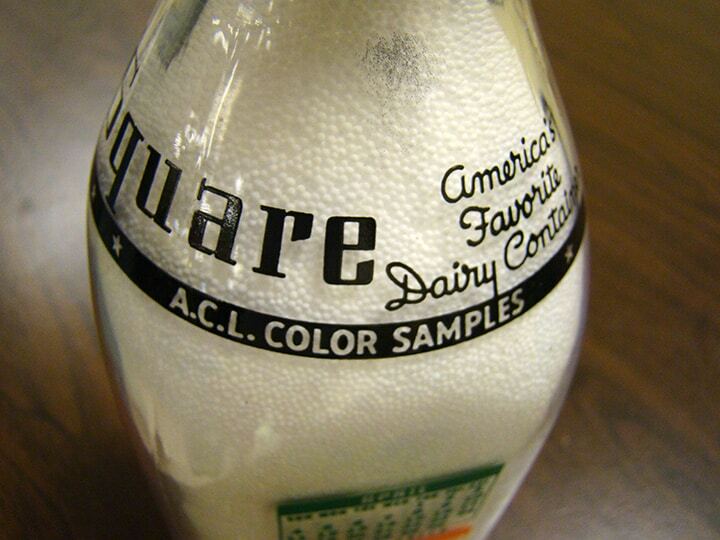 This calendar milk bottle is a salesman’s sample to show the different color pyro they offered. I would love one of these! 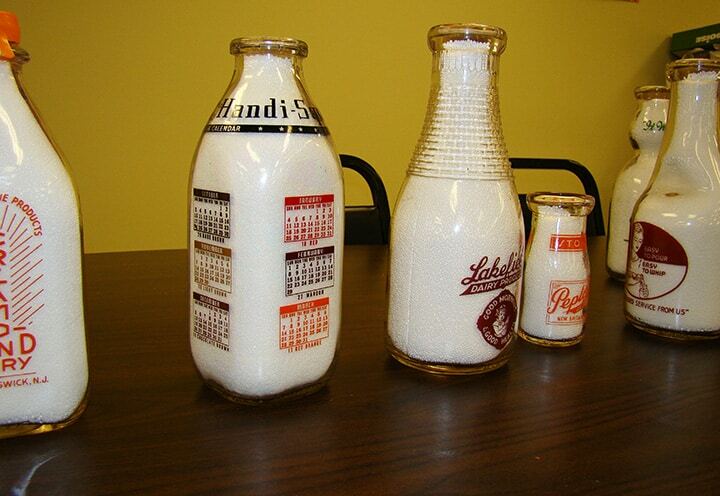 Just a few of the many interesting milk bottles that Peter brought to share. 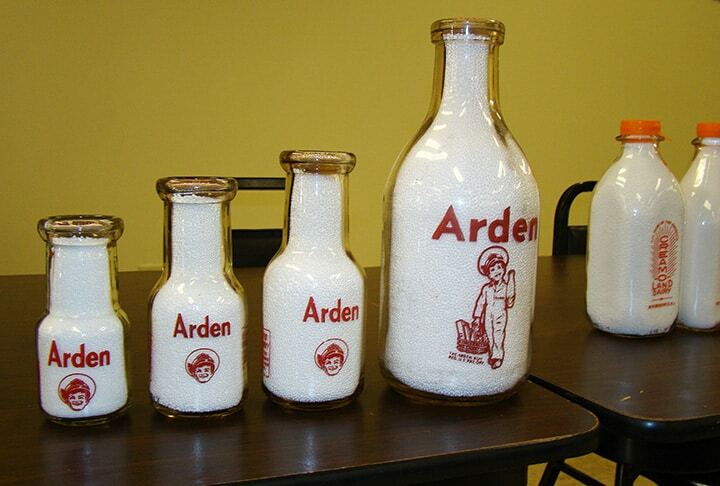 A set of odd shaped Arden milk bottles from the West Coast. 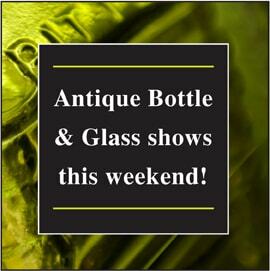 Maybe I will see some at the FOHBC 2016 Sacramento National Antique Bottle Convention & Expo in a few weeks. Peter talks about the use of green milk bottles and why they never lasted.